We can refer you to more than 1,600 community services. Check out the new City of Sacramento search page. 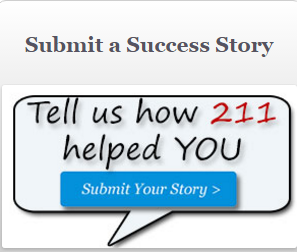 Putting you in touch with the services you need is what we do at 2-1-1 Sacramento. We can refer you to more than 1,600 community services in the Sacramento area. Every effort has been made to ensure that the information in this database is timely and accurate. Financial contributions, and all donations are greatly appreciated. 2-1-1 Sacramento is a program of Community Link. Community Link is a 501(c)(3) non-profit organization qualified to receive tax-deductible donations.